FOODIE pop up Section33 sets up stall at a top secret venue TBC on the southside. Runs until Sunday, with sessions running 5-11pm Thurs-Fri and 12pm-12am Sat-Sun. Tickets are £5, and dishes will follow a New York-style theme. SPIRITUAL thoughts at Orchardhill Parish Church for the latest Thinking Allowed event: ‘Tell Me the Old, Old Story’, focusing on where Christian spirituality and psychotherapy converge. 7.30pm for 8pm, and entry is by donation, suggested £5. Call 638 3604. WORLD Day of Prayer at Greenbank Church , Clarkston, from 10.30am. All welcome. WORLD Day of Prayer service takes place at Merrylea Parish Church, 2pm. Everyone in Cathcart welcome - order of service booklets available in regular, large print and braille. STRICTLY Come Dine and Dance at Loks. Three course meal then a chance to take to the floor for this special event, kicking off at 7pm. Costs £25 per person - call 632 5727 to reserve your place. LADIES Fairtrade party night at Newton Mearns Baptist Church. 8-10pm for stalls, craft iteams and food, as well as hearing the inspirational story behind Carishea, which works with communities in Ghana where women harvest shea nuts to produce butter for luxury skin products. Free entry, donations can be made on the night. SIT Down for Breakfast; Stand Up for Farmers at Williamwood Parish Church. Fairtrade breakfasts served 9-11am in the upstairs hall today and March 12. No entry fee but donation (suggest £2.50 per person) welcome. Fairtrade goods for sale. JOIN Langside and Shawlands United Free Church for a monthly coffee morning, raising cash for local good causes. 10am-noon and entry is £1.50. COFFEE morning and secondhand book sale at Busby Tennis Club, in aid of court refurbishment. 10.30am till noon. Free entry with tea, coffee and home baking available. LAUNCH weekend for Gatehouse Veterinary Rehabilitation at Rouken Glen. Noon-4pm today and tomorrow for demonstrations of the underwater dog treadmill and mini agility course, pet photographer, home baking, goodie bags and giveaways. Free event - all welcome. MUSIC at Giffnock North Social Club, courtesy of The Motown Brothers. 7.45pm till late and tickets are £10 from 07790085048. THEATRE at Eastwood Park as TSP present Thoroughly Modern Millie. 7.30pm shows until Saturday, plus a 2.30pm Sat mat. Tickets £10-£16 from 577 4956. DRAMA at Govanhill Baths, staging The Homecoming by Harold Pinter. 7.30pm performances every night until Saturday - tickets £8/£6 from 433 2999. LAUGHS aplenty at the Glasgow International Comedy Festival, opening today and running until March 27 at venues across Glasgow. See www.glasgowcomedyfestival.com for details. CELEBRATE local history with East Renfrewshire Heritage Service, hosting an exhibition on Shanks & Co’s Barrhead beginnings at Barrhead Foundry. 1-7.30pm for the free event, with photos, artefacts and rediscovered archive film on show. HEAD east for The Great Scottish Beer Celebration, setting up bar at the Barras Art & Design Centre today until Saturday. Sessions 12-5pm Fri and Sat and 6-11pm every night. Tickets £7.50. 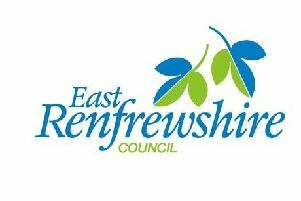 EASTWOOD and District Members’ Centre NTS holds a meeting at Netherlee Primary, from 7.30pm, including illustrated talk from George Parsonage MBE on The Glasgow Humane Society. STAND Up in the Shack as the Glasgow Comedy Fest moves southside. Bruce Morton of the Greater Shawlands Republic movement hosts at The Rum Shack from 8.30-11pm and tickets are £9/£8, available from 08448737353. For more events in East Ren, head to www.whatsoneastrenfrewshire.co.uk or visit www.wow247.co.uk/glasgow for events, entertainment news and guides to all that’s going on in the city.